Welcome Fortuner 4×4 Fans! This is your 4×4 and 4×2 Home, a place to share, gain/ give advice, connect and learn. We welcome all Fortuner drivers, experts and enthusiasts. 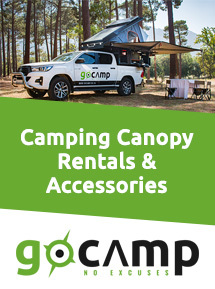 If you see your Fortuner as “just another car”, this may not be the place for you, but if you are passionate about your ride and wish to connect with other adventurous like- minded souls that share the same Fortuner- fueled addiction, welcome to the community. Let’s be honest here, we are enthusiasts, that’s enough motivation to start such a project! We are here to build a community, to connect fans, help one another by sharing advice and create a following. As more and more Fortuner drivers are taking their vehicles off- road (and not just using them for pavement- parking), using them to navigate city streets and explore country roads, there is a need for advice, tips and opinions. Toyota Fortuners are very popular in South Africa and we wish to create an online Fortuner community. Why Should I Use The Forum? Categories specific to the individual Fortuner, so you can get to all the “nitty- gritty” of your car’s specifications. Any form of modifications that have worked and are tried and tested by members. An assortment of accessories and add- ons suited to your Fortuner. Travel –tips: what would a Fortuner forum be without adventure stories from the most die- hard Fortuner fans. These are just some of the topics you can expect while browsing and using the Fortuner 4×4 Fans forum. Click through to begin your journey. Start by introducing yourself and telling us about your ride. Welcome to the Fortuner family!